Enrollment for Summer classes at HADC will begin on April 18th for current students and on April 29th for new students. To print our Summer Enrollment Form CLICK HERE. 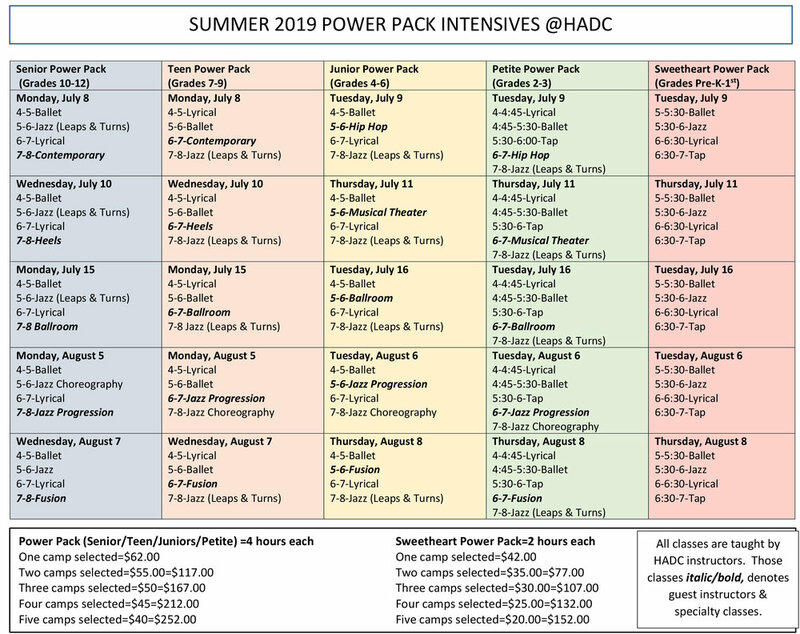 Scroll down to see our Summer Intensives Schedule.